MAGNA TECH, INC., manufactures "The Next Generation" of Towing and RV accessories, as well as provide a variety of Contract Manufacturing services. 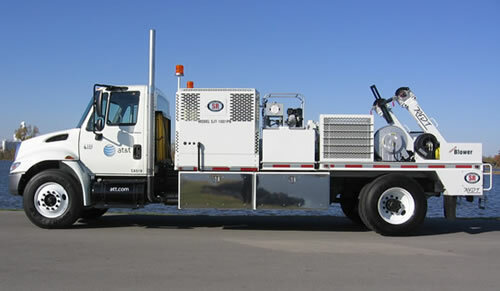 The Sherman & Reilly Rapid Fiber Deployment Truck (RFDT) is one of our most recent projects. Manufactured in our plant, the RFDT is the ultimate fiber optic placing system. Magna Tech's headquarters and manufacturing plant are located at 4331 South Johnson Road in the Chanute Safari Industrial Park, Chanute, Kansas You may contact us by using any of the information listed on our contact page.